Forgot to do this the other day when I spotted the request. 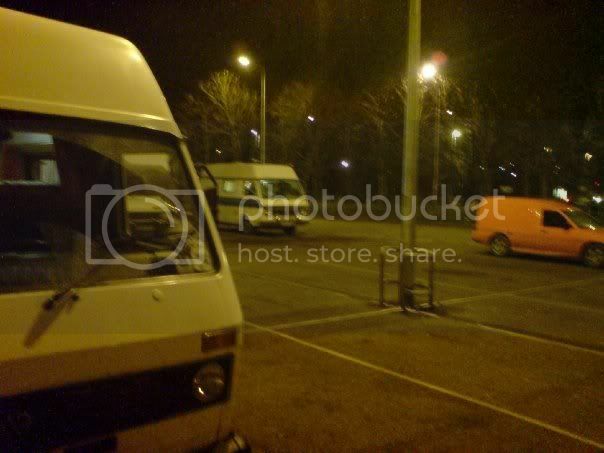 If you have converted you van and want to share pics etc like the Ur Van topic then post them here. Its a sticky topic so will stay at the top. I'll delete this post once the topic gets going. Nope - thanks in my case to sciatica driving me nuttier than usual!! I'll get out and post some pictures of our conversion this week. We bought it after its original owner died sadly. It was once a community ambulance and was supposed to have been fitted out using the bits from an old caravan. Whoever did it made a good job of it though as it looks like its always been a camper. My girlfriend and I bought it and have been away a couple of times in the 4 months we've owned it but being new to campers we need some help. The pictures below are to do with the hot water, heating and fresh water feed - I think? I know it might be obvious but can you guys confirm this for us and let us know how we should be connecting them etc please? 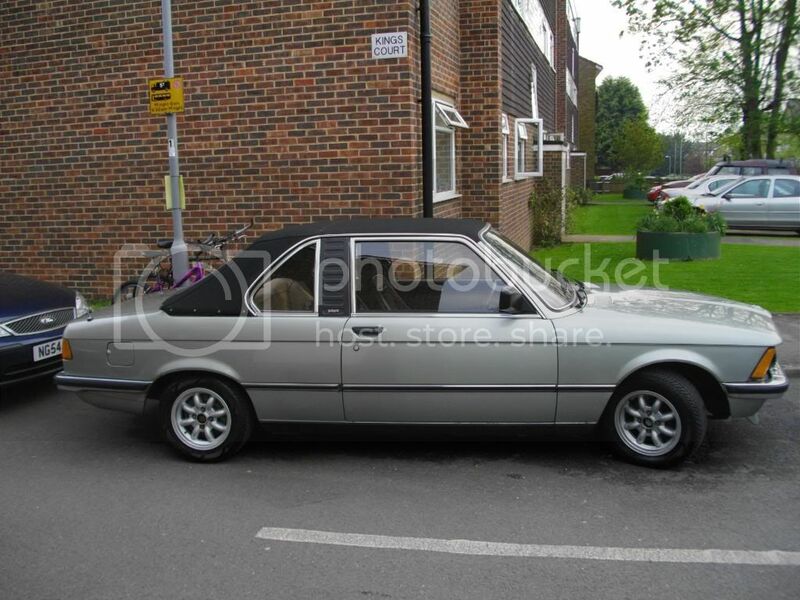 Also we want to tow my old skool BM behind her with a dolly but need a tow bar. Also, being a 4 speed petrol, would she be able to cope? We're not bothered about plodding along but don't want to ruin her. Your van is a 2.0 petrol like mine so I wouldn't even attempt towing anything other than a small trailer for any distance, and never up a steep hill. Towbar's aren't too difficult to source (topics on forum) , but the law has tightened up considerably recently and a lot of the dollies for towing cars don't conform any more, and are legal for registered recovery vehicles only in emergencies. I've got a pdf which explains a lot about towing safely, and there's an article in March 2009 Motorhome monthly which is quite detailed. Can scan if you PM your email address. 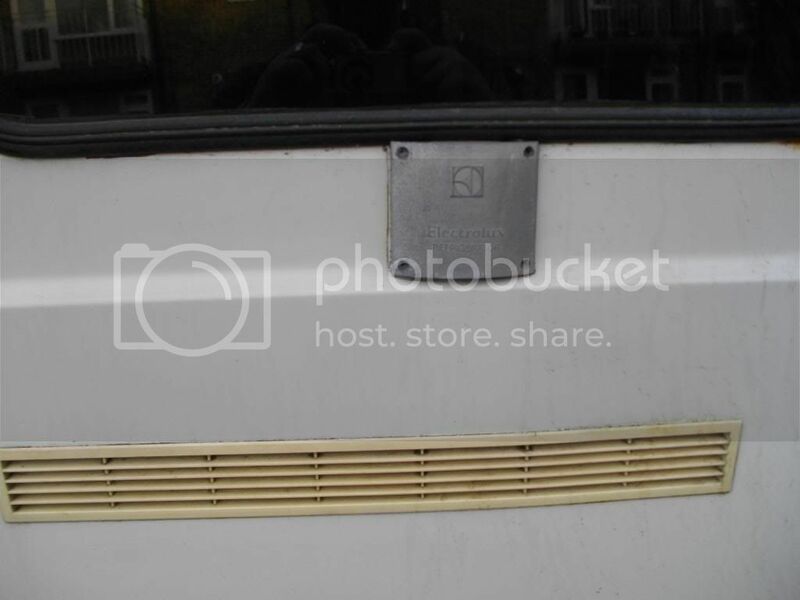 The square aluminium plate (electrolux) is the gas exhaust for a 3 way fridge, don't know about the others but no doubt someone will. P.S. If you have an electrolux fridge then I've got a manual in pdf form. Many thanks for the advice Andy. Maybe we'll just get a moped to take with us instead? We're just thinking of something for shopping trips rather than having to break camp everytime we want to go to a shop.
. . . into this new sticky thread? 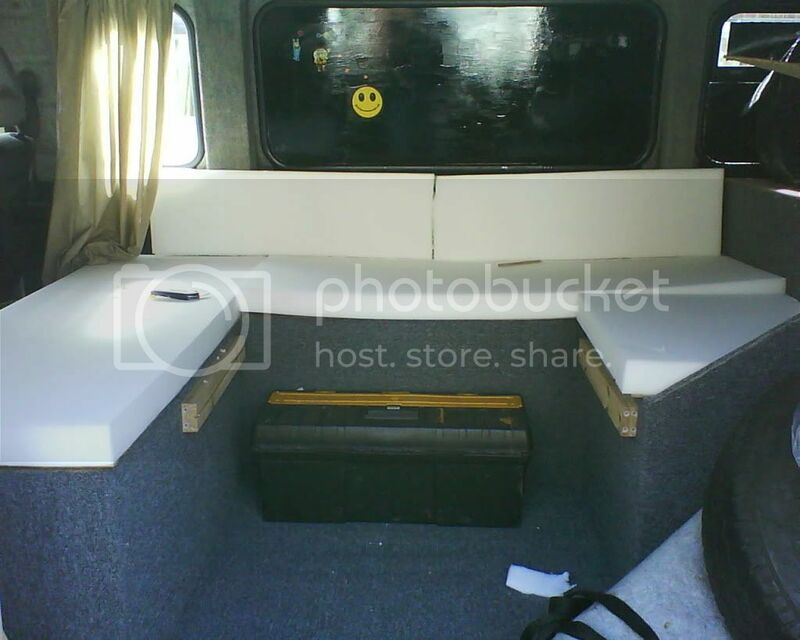 1993, LT31, 2.4 petrol (with a 1E engine), lwb, camper conversion project. Worth doing but I don't know how!!. But double check as iam only guessing that its a whale fitting it could be a carver or other . Thought i'd share a couple of pics of the progress on my conversion. This is just phase one! I don't think it's too shabby considering I have no woodwork expierience and i've only had it a few weeks. This is how it was when i got it. And now... The seats also convert into a bed. The cupboards now have nice red knobs. I'm going to cover the seats tomorrow and then a more permenant work surface with smev sink and cooker. Hi. I noticed the query regarding towing with a 2lt LT and I would like to offer my experience : I finally sent mine ( what was left of it ) to the crusher a couple of months back and it was a pity that I finally broke it up ( took 3 years to finally say goodbye ) but there was too much rot and it owed me much money so all parts went via eBay ( I'm sure that many of you saw it - 1980 LT35, Blue with white HiTop ) and one or two of you bought parts from it. I used to be in 16 motorcycle clubs and spent most of my time building, breaking, making, fixing riding, smiling, breakin ------ 1916 to 1970's machines. I also used to go to lots of shows and autojumbles. Regularly, I would have all of my "going away" gear, tools, 3 bikes inside the camper, 1 clipped on the the bike rack at the back and 3 on a trailer. The van never complained and even went to France 3 times ( once with 4 blokes inside with all their gear ) and a 3 bike trailer on the back. Don't be afraid of carrying/towing load - that is what they were made for. Got to say that the LT35 was a sweet machine. My LT45 2.4TD may be more powerfull and a little more economical but the noise level and harmonics ( this is the rose tinted way of saying DIN ) are much higher. hi. don't know if I'm too late to be of any help but, top pic is the on-off controller for the hot water system. 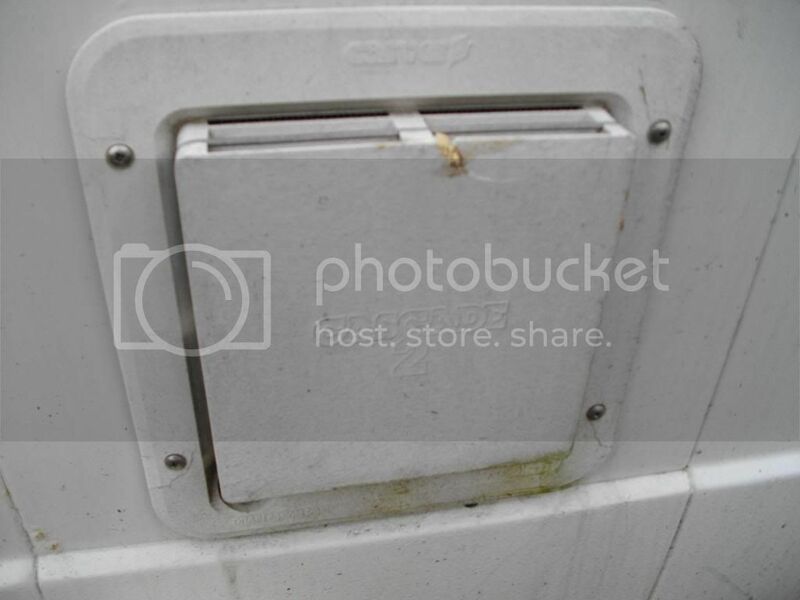 2nd pic, the aluminium square is the exhaust vent for when you are using your fidge on gas, and the long plastic one is the inlet vent for the fridge. this is to allow fresh air to circulate behind it, and stops the build up of fumes and cabon dioxide gas. 3rd pic, is the exhaust vent for your hot water system, IMPORTANT! at the bottom left hand corner you will find a large plastic screw. you need to open this if you are not going to use the water during the winter, this will drain the system, if you don't there is a danger that the tank will freeze up and burst. (quite expensive to replace). 4th pic. 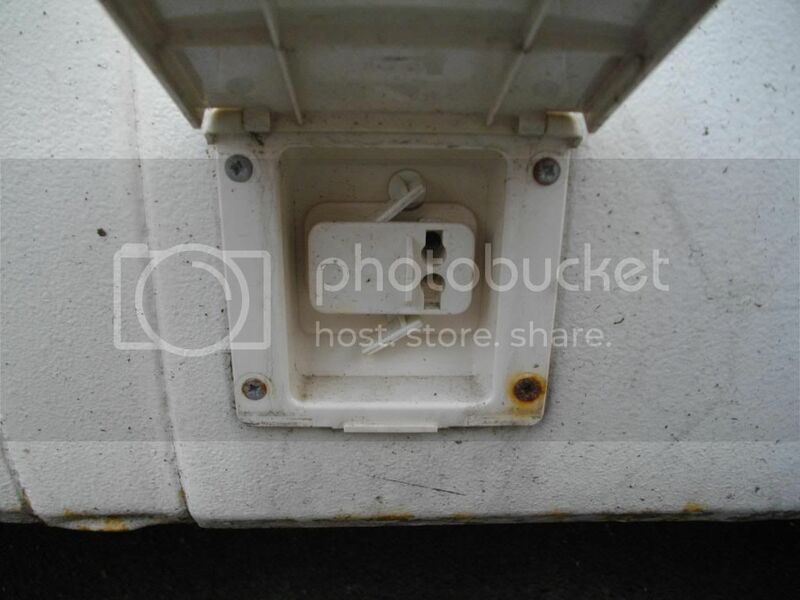 this is where you plug in your submersible water pump. the plastic lugs twist round to hold the plug in place. hope this helps. 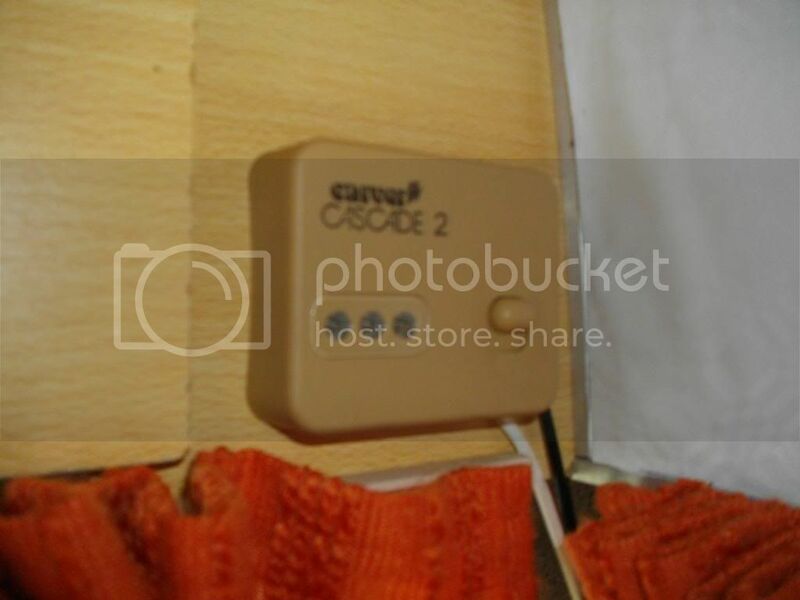 Hi LTcamper, this may be well too late, but both AndyT and Bonnie are correct with their identifying your parts, the brown switch is indeed the on/off control of the gas water heater (with three state warning lights), but i noticed from the pics that it is a Cascade 2, which means there is a chance that your water heater my have a mains 240v side, if your can get to look at the water heater on the inside it will have a 240v cable connection and probably a mains switch (that is if you have mains hook installed in your van), if so you can use either, but i wouldn't use both at the same time as has a tendency to pop the press relief stopper, which once it does would require replacing if it happens (doesnt always happen but it can). If it ain't broke, take it apart anyway. I'm about to finish my conversion (actually it's a never ending conversion, always different things come up) and thought it's better to share some pics and get your opinions at this stage. My van is an 88' LT 31 2.4 petrol which I bought at 12k kms. 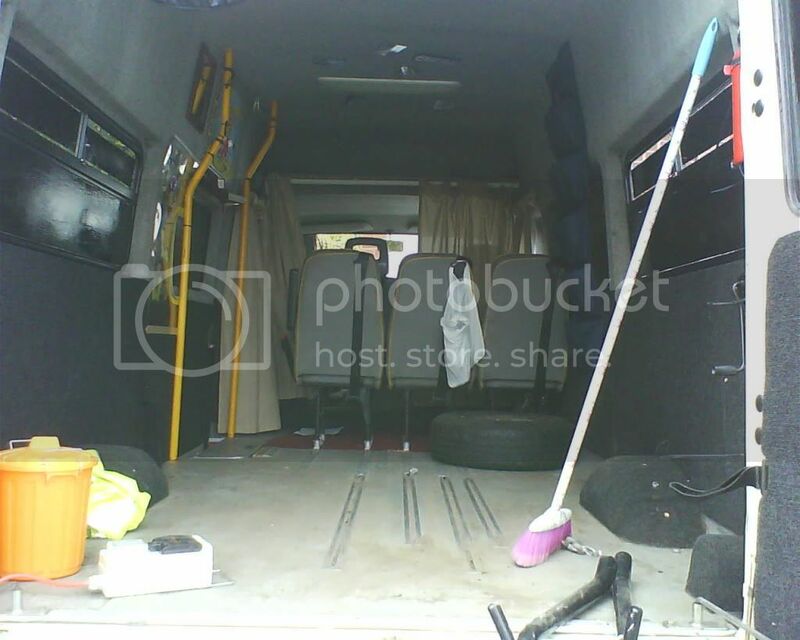 It is an ex-gov't van which was rarely used but had a horrible interior design. I mean a real bad mess on the back, a totally blackened box with loads of strange structures in it. It was used for spying and had camera mounts, listening devices, little holes in nuts, a hydraulic device to fix the van to the ground, a display on the back windows to fool people outside that it's a poultry firm van and etc. To disassemble this mess in winter took me a month. That conversion was done by a firm in germany and it was built to last but if I had a chance to camp in it I'm sure my mental health would be injured seriously. Anyway I took everything out and converted it to my own taste. Everything was done in the apartment parking lot by me and missus and the outcome is as follows. Youve made a pukka job of that. 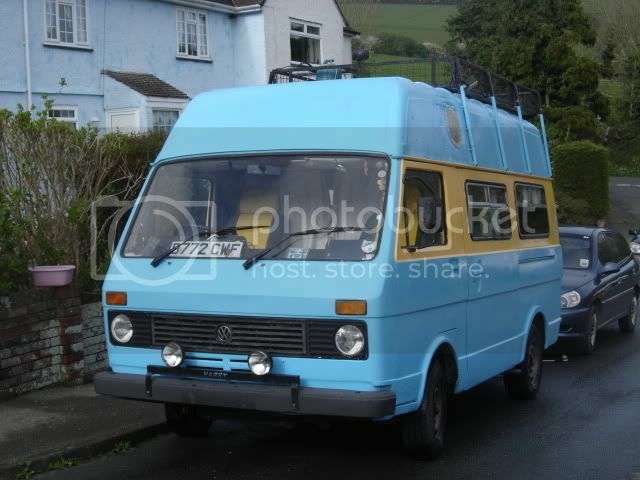 T4 Westfalia Exclusive.Tdi LT work van..
That looks wicked!! inspiring to see! Encourages me to think about doing a conversion some day! NIce one! Very impressive cnycl! That interior looks top quality..
Nessie - 1985 LT40, 2.4 Petrol (6 Cyl) - Gone but not forgotten..
We camped for the first time in this van this weekend (700km trip to the north egean coast of Turkey for 2 days). Everything worked fine, interior design proved to be very usable with lots of storage and living space. I will add a vertical closet next to sink to place spice jars etc. which will also virtually seperate sitting/bedding area from cooking part. Rough and ready job done with a lot of free and recycled materials, particularly plywood and underfloor. Had to buy paint, lighting, batteries etc new; space age insulation a gift from a very generous friend! Still a work in progress, the cab exterior and box interior will both be getting a fresh coat of white. fair play mate. crackin job there! That was a few months ago, he looks a lot smarter now! I found out today that my LT isn't actually a horsebox conversion, it used to be a cookie/bread delivery van back in the day! All I need to do now is track down some new back doors for it! Here's a photo of my kitchen unit. I'll get a few pics of the rest when I pull my finger out. The outer cupboard door opens to support a chopping board/worktop extension, which is handy. I've clad the whole thing in ply, over rockwool and that ally/bubblewrap stuff, and put a caravan roof doings over the kitchen, and a big lexan boat hatch above the bed. There's all the wiring for 4 circuits of dimmable LED lights and the stereo/telly behind the boards, and 3 batteries and fuses etc below the bed. I need to put in a wardrobe and shelves at the back, and a little unit above the sink, for easy-access tea and coffee etc, and also I must get the woodburner in and awning on if i want to use it this winter. Hi, this is my first post so bear with me! Picking my first LT up tomoro, bit of a project job. will try and post pics later!! hi Mikejack, was your LT a minibus ? 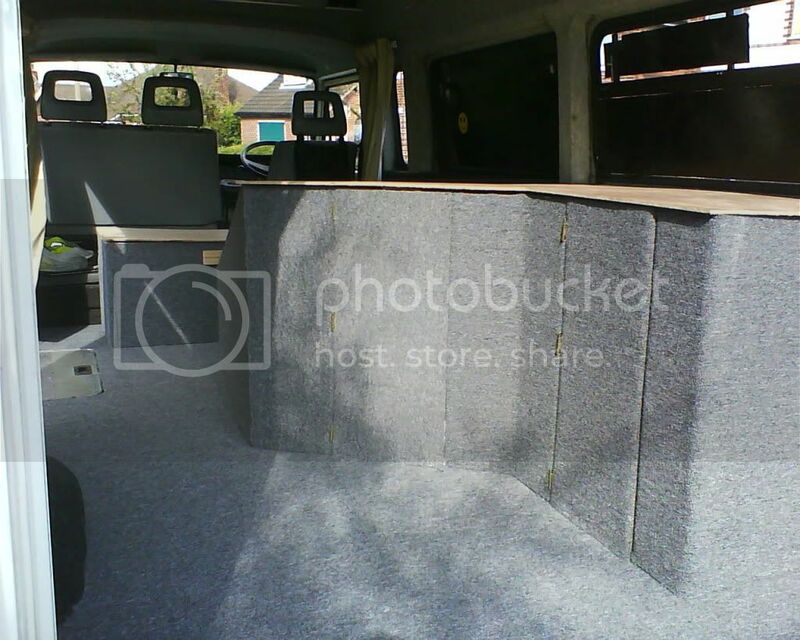 only the original interior looks like mine, have plans to convert to camper as well. WOW great van, great conversion, hope i can do as well. Things are slowly progressing re our Austrian Fire Brigade LT35 Bus - the purpose of it's purchase being to convert to a camper. I am after doing something clean, simple and functional - bed, a table, something to cook on, a little fridge. I'd really appreciate any layout plans if any of you were happy to do that. You may have already seen this site, but there are a huge number of variations on a theme. and at the guy with the bmw i have a recon 4 pot cylnder head sitting dooing nothing for the just 1600cc 2 door car like that one only not convertable got it from glouster and never used it.